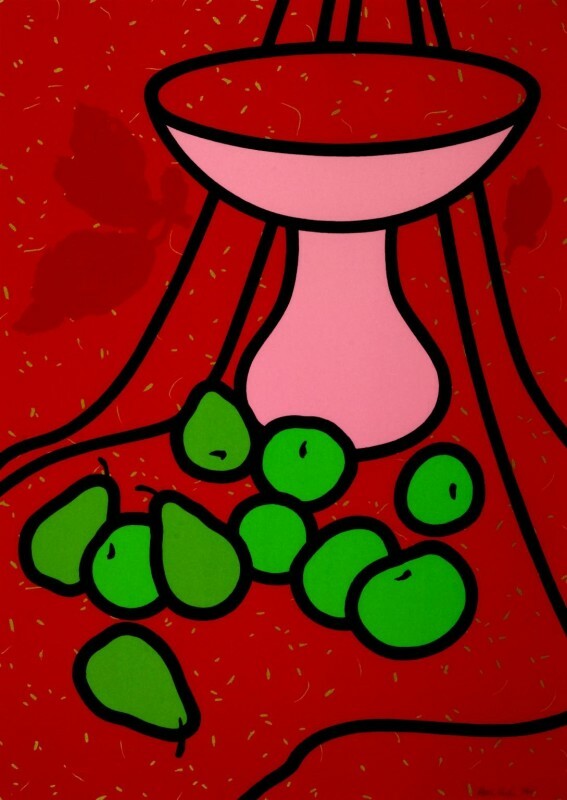 English painter and printmaker Patrick Caulfield (1936 –2005), is known for his bold canvases, which often incorporated elements of photorealism within a pared-down scene. Born in London, where he studied at Chelsea School of Art, and the Royal College of Art. 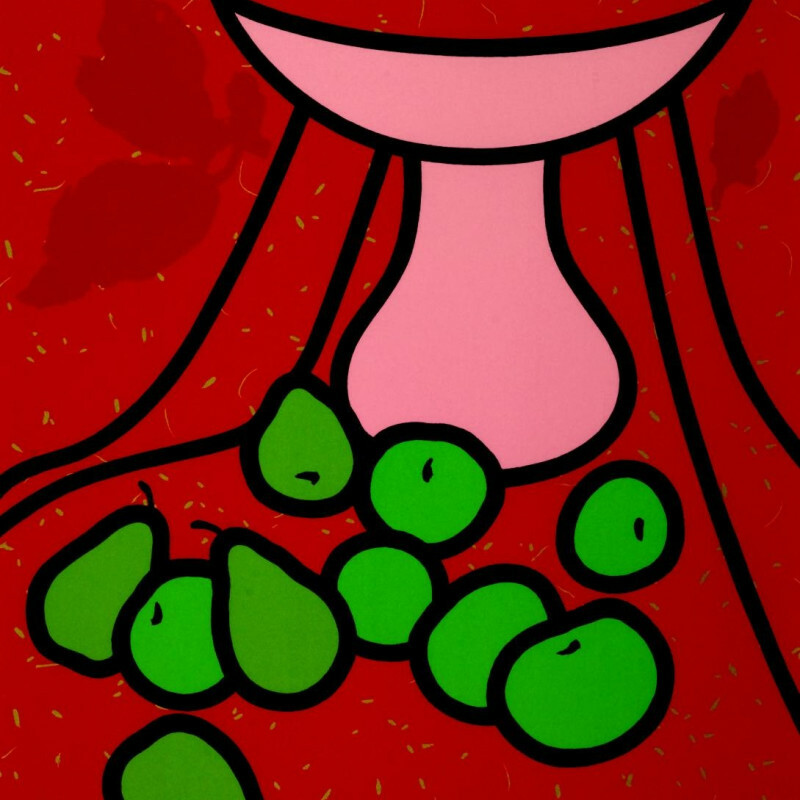 His work has been linked with Pop art and the likes of Peter Blake and David Hockney. Caulfield's paintings are characterised by flat images of objects paired with angular geometric devices or isolated against unmodulated areas of colour. He adopted the anonymous technique of the sign painter, dispensing with visible brushwork and distracting detail and simplifying the representation of objects to a basic black outline in order to present ordinary images as emblems of a mysterious reality. Caulfield took a great deal of time completing his work, making him less prolific than many artists. In 1964, he took up screenprinting and the following year won a prize for graphics at the Paris Biennale. Subsequently print was an important part of his output. He also made designs for the Royal Ballet. An exhibition was devoted to his work at the Tate Gallery, London, in 1981 and another at the Hayward Gallery in 1999.